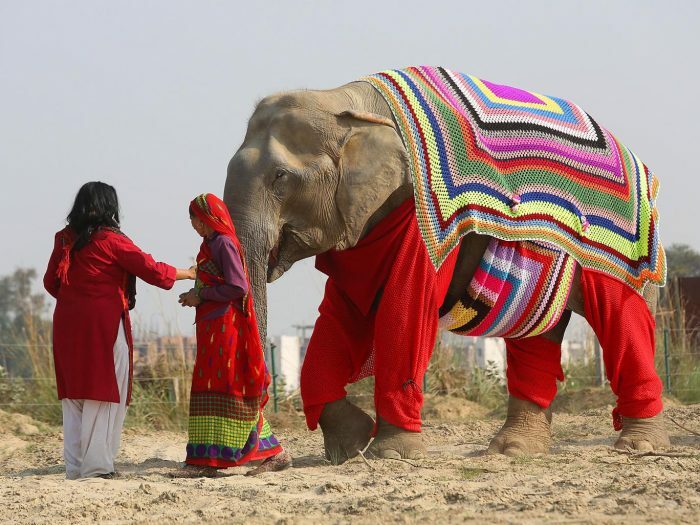 Elephants in India are wearing fashionable jumpers any grandmother would be proud of to protect them from sub-zero temperatures. 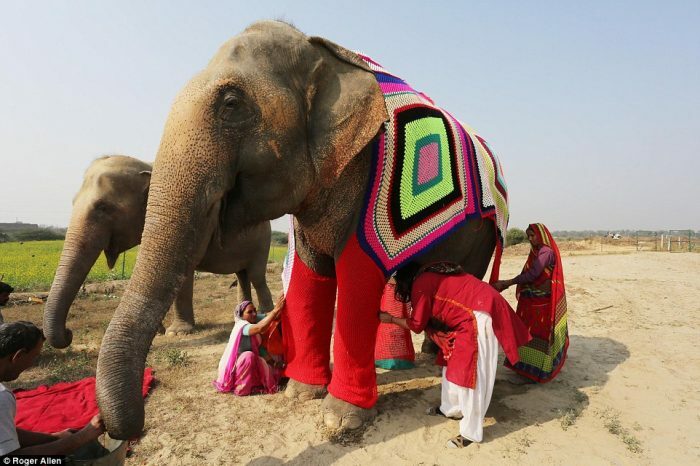 Women in the northern city of Mathura — located near the Wildlife SOS Elephant Conservation and Care Centre — created the jumbo sized garments after staff at the centre warned winter temperatures were dropping below zero at night. The conservation centre looks after rescued elephants who have been mis-treated by previous owners. 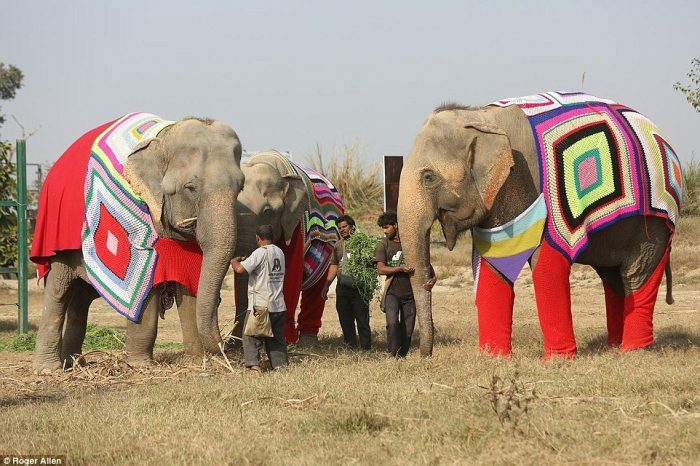 Kartick Satyanarayan, Co-Founder and Chairman of Wildlife SOS and founder of the centre, said the elephants need to be protected from the winter chill. 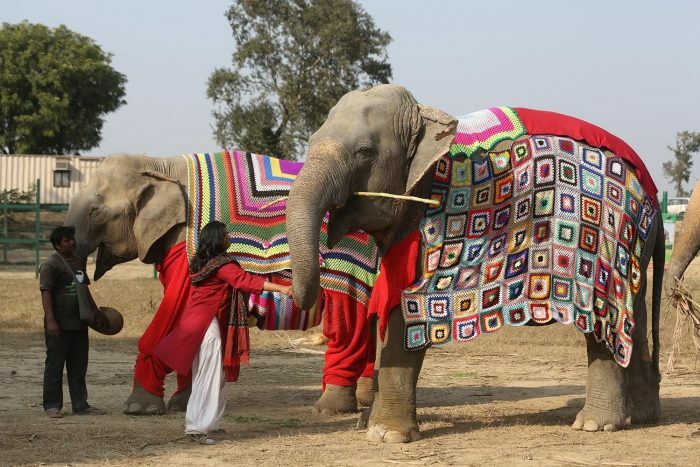 “It is important to keep our elephants protected from the bitter cold during this extreme winter, as they are weak and vulnerable having suffered so much abuse making them susceptible to ailments such as pneumonia,” she told The Times of India. The centre currently houses 20 elephants that have been rescued from illegal captivity, with plans to rescue a further 50 in 2017.